Travelsox TSS6000 Best Patented Graduated Compression Performance Travel & Dress Socks With DryStat Pairs, Marine Blue Small by Vitalsox at Wander Soul. MPN: unknown. Hurry! Limited time offer. Offer valid only while supplies last. TRAVELSOX EXCLUSIVE SILVER DRYSTAT- Vitalsox technical performance material designed using Quick Drying Polypropylene infused with Silver to resist and stop the growth of bacteria and fungus while it repels odor from the socks. 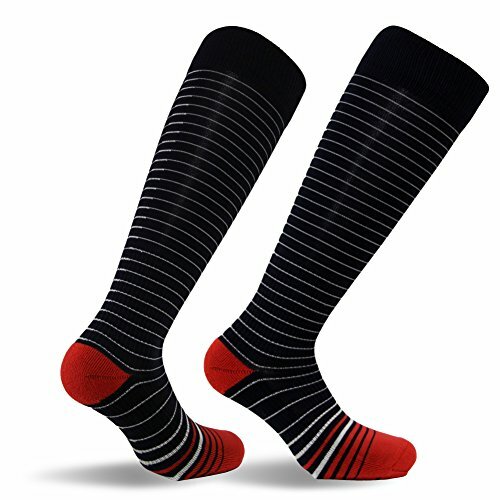 Your feet may still smell but your socks will not hold odors, easy care turn inside out and machine wash warm.